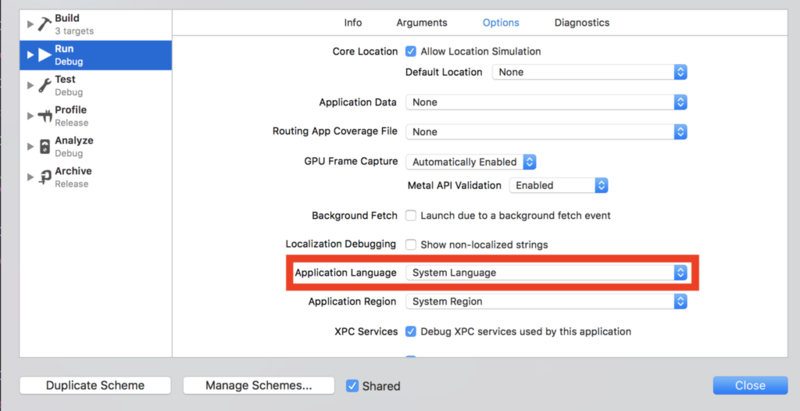 This article shows how to change a language settings while debugging on the devices. This method is useful for confirming the localized String or text including line breaks. It won't need to change the language from settings anymore. There are 2 steps for setting the language. [Run]-[Application Language]-[System Language] and select a language you want to set.